5 stars - "Epson Stylus SX235W All-in-one InkJet Printer with CISS" by Ray, Written on 2012, 17:04/06/19 Use it for a year. Like it, though the speed is not the best, but no smirks or empty pages at all. 5 stars - "Epson Stylus SX235W All-in-one InkJet Printer with CISS" by Yvette	, Written on 2012, 13:24/07/19 Nice stuff. 5 stars - "Epson Stylus SX235W All-in-one InkJet Printer with CISS" by Cadena	, Written on 2013, 16:38/02/15 I fell in love with the Epson Stylus SX235W! 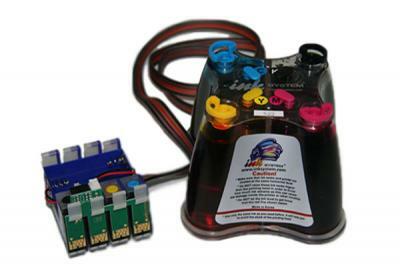 Excellent color rendering and CISS does not need to be changed every time as the original cartridges. Except for all mentioned it allows to make huge savings. 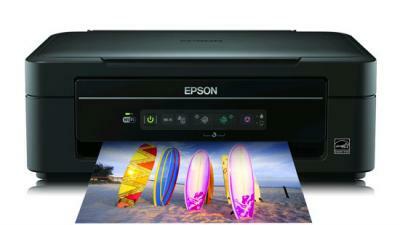 Buy Printer Epson Stylus SX235W with CISS and make 30 times more quality prints for the same money! Color Printer Epson Stylus SX235W is the cheapest device with Wi-Fi. The given device for home and office using has the function of direct printing from tablet PCs and smart phones under guidance of Android and IOS. The owners of other mobile devices with the facility of e-mail sending may print imprecisely. It is a Japanese analogue of ePrint American system with the help of which you may send e-mail to the address of your printing device. If the stylus sx235w printer is connected to the network then it will print the documents from inputs. The reduce of SX-devices sizes by 40% has become practically the sensation! compactness and comfort while working with the device. By the way, such models as Epson Stylus Office sx445 and Epson Stylus Office SX440W producing very qualitative prints are not less popular. The given stylus sx235w epson has enough competitors; however, despite it this printing device has a firm position in its place. Namely it is in great requisition among relatively cheap MFD with Wi-Fi. It will perfectly fit for the owners of laptops and a few home PCs who have to work in the thick of the press. If you want to buy an all-purpose device for the whole family for a sufficiently small sum of money then this device is for you. There is a profitable price for MFD Epson in our shop! In appearance the given device looks like a black parallelepiped with round angles and a movable control board at the front side. 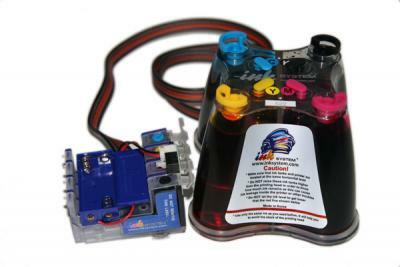 MFD is made from qualitative thick plastic. It has mainly matt coating. A feed tray is vertical and fixed at the back part of the body. It encloses up to 100 sheets of office paper. 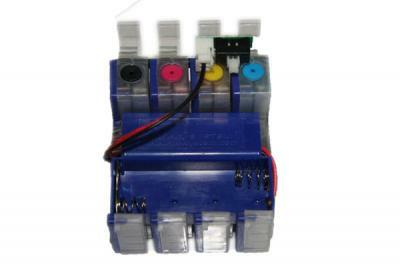 Printer, copier, scanner of Epson SX235W are equipped with the system on the base of a printing head MicroPiezo that is generally traditional for Epson. The speed of monochrome printing is up to 30 pages of A4 format per minute and of documents color printing is up to 15 pages per minute. Printing of one 10x15 color photo takes not more than 72 sec. The printing resolution of 5760?1440 dpi will perfectly answer any needs. Scanner of a epson stylus sx235w printer with maximum optical resolution of 1200*2400 dpi will provide excellent color rendering. And copier is independent of computer at all. Indeed there are buttons of monochrome and color copying on the control board. From the financial point of view original cartridges of the given device were used with great expenses and unprofitably. Indeed, 1 ml of firm ink will be in average 30 times more expensive than 1 ml of manufacturer's ink of alternative consumables, for example, of INKSYSTEM companies. Impressive overbalance to the side of consumables of the given company will be saved even in the case when buying each new ink set you will buy new CISS. Epson sx235w will reduce your expenses by factor of 30. It is provided by a big volume of ink reservoirs. Besides, you do not need to substitute them as distinguished from original consumables. You will buy one set of CISS and then you will pay for ink and paper. Thus, the market has been enriched with one more excellent MFD with Wi-Fi. The given multifunction device perfectly copes with functions fastened on it. Use it for a year. Like it, though the speed is not the best, but no smirks or empty pages at all. I fell in love with the Epson Stylus SX235W! Excellent color rendering and CISS does not need to be changed every time as the original cartridges. Except for all mentioned it allows to make huge savings.